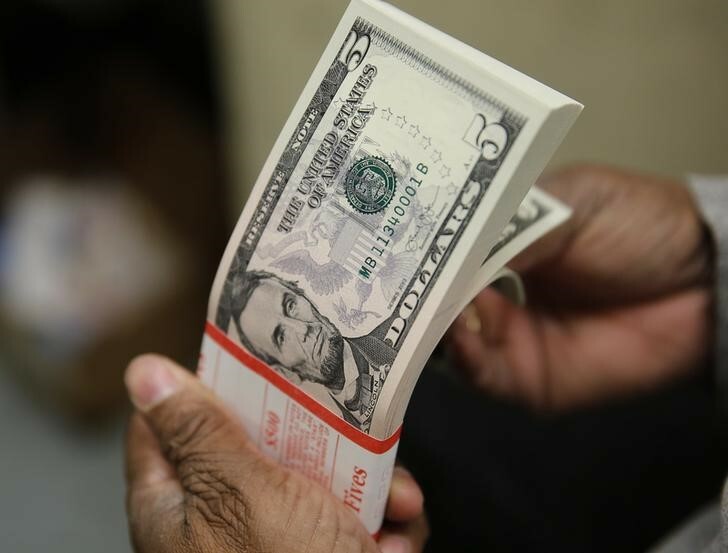 Investing.com – The dollar was trading at two-week highs the other major currencies on Monday after Federal Reserve Chair Janet Yellen said Friday the case for U.S. interest rate hikes has “strengthened”. The U.S. dollar index, which measures the greenback’s strength against a trade-weighted basket of six major currencies, was up 0.27% at 95.74, the highest level since August 15. The dollar strengthened across the board after Yellen said in a speech at Jackson Hole that the case for raising U.S. interest rates has strengthened in recent months, citing improvements in the labor market and hopes for modest economic growth. The U.S. central bank raised interest rates for the first time in almost a decade in December. Expectations of higher interest rates typically boost the dollar by making it more attractive to yield seeking investors. Data on Monday showed that U.S. personal spending ticked higher in July, while the Fed’s favored inflation index remained subdued last month. The Commerce Department said personal spending increased 0.3% last month, in line with expectations. The core PCE price index was up 1.6% on a year-over-year basis, where it has held since March. The Fed uses core PCE as a tool to help determine whether to raise or lower interest rates, with the aim of keeping inflation at a rate of 2% or below. The euro was at fresh two-week lows, with EUR/USD sliding 0.19% to 1.1172. The dollar was trading at three-week highs against the yen, with USD/JPY was up 0.45% to 102.26. Sterling was at one-week lows, with GBP/USD down 0.52% at 1.3070.